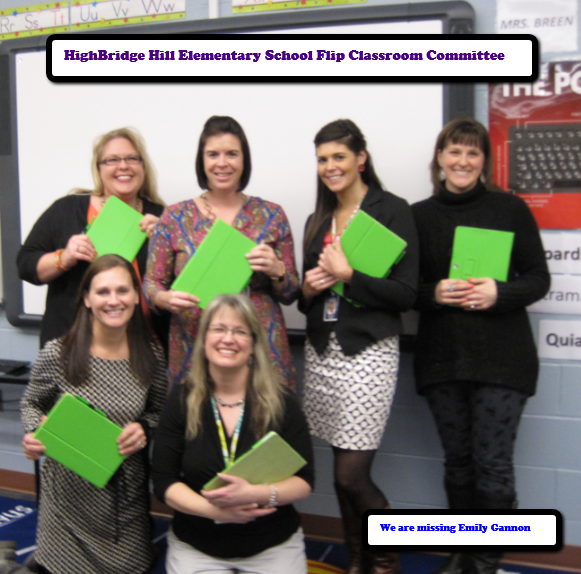 Who is Highbridge Hill Elementary School? The HHES Flipped Classroom team had to present to their school board. Find out how the presentation went and where they are headed next. Read about the School Board Presentation from one of the team members. We're Really Flipping Now! The fourth grade at HHES had their first flipped assignment about the human body and then in class worked on creating cells, tissues and organs such as the stomach, lungs, heart and brain. Read about how the teacher things things went well and issues that had to be resolved in the blog post We're Really Flipping Now. A closing note from High Bridge Hill Elementary on their grant project and on flipping in the elementary classroom. Read individual teacher reflections about their experiences and where they are hoping to go in future years. Read more about their experiences in their Closing Notes "Our Flip Ending" as well as one elementary teachers reflections on "Making Room for Flipping".